Asking the Unasked Questions: Was the Crashed Bellview Aircraft Bombed? Last week, the Red Cross boss, Professor Charles Ohiku alleged in a national daily, The Sunday Sun, that the Bellview Airlines’ aircraft that crashed on October 22, 2005 may have been bombed. The report of the investigation conducted in the wake of the crash incident has never been made public, raising concerns why it took him so long to come up with these claims. Continuing to shroud the report in secrecy will only fuel speculations among the citizens, and propel conspiracy theories that can only be effectively challenged by making the findings of the crash investigations public. The June 3, 2012 Dana Airlines plane crash at Iju Ishaga, near Lagos, which claimed 153 lives, have forced many Nigerians to re-open the conversation about the previous plane crashes and to interrogate the unusual silence that greets the routine ensuing investigations. While accountability continues to lag behind, the questions on the lips of many Nigerians remain: Who bombed it (Bellview aircraft)? Why was it bombed? Why should the report be kept away from the public? Those that lost their lives therein, are they not Nigerians? Therefore every Nigerian has the right to know what actually caused the Bellview plane crash. It is thus, the responsibility of any sitting government of the day to make the report available for everyone to see. John Ogunlela: I had been holding to my speculation that that plane was bombed and I want to play the reel of my conspiracy theory for everyone here. It is based on an enthusiast’s informed knowledge of how flying objects ply their routes. The plane went down after about four minutes in the air. What that bluntly means, ordinarily, is the engines failed on take-off or the craft stalled. Planes stall for roughly 3 reasons: ascent or descent at angles too acute for the tolerance of the aircraft’s design. The third is a massive lightening strike. A stalling plane suddenly looses its aerodynamic qualities bellies into the wind and tumbles anyhow out of the sky. Its the worst form of a plane crash. And a passenger plane of that size in a stall will come under a terrible strain instantly and start to break into pieces right from the sky. It wont fall down in one place like a warplane that is shot down like you see in the film.So, the debris will be strewn over a wide area. That plane flew out of Ikeja, took a right bearing to turn north as Abuja-bound planes do. (Those heading to to Owerri, PH, CALABAR take a left bearing) At 3, 4, minutes, it was still climbing. It would have turned over Ejigbo and be near Ogun state and by then, the pilot would have left it on auto, further reducing the possibility of a stall. Again, it was a 737, the most reliable passenger aircraft and thus the most abundant in the world. (One lands every 5 minutes or so). “A bomb must have been smuggled into the cargo hold of that plane, which is towards the tail section. It may have been an altitude bomb which will sense the rise in elevation and be triggered. Or it could have been a time or remotely set-off charge. But certainly it was in the tail section as I will soon explain. The blast went of in a downward direction, more like what they call a shaped charge in the military. The blast pushed the tail of the aircraft up and tipped the nose section down. The engines, working ever so perfectly and in full engagement for climbing, now faced the ground. The plane got into nearly a vertical position and rocketed into the ground, not just under gravity, but driven by its own two engines under full power. That explains why the debris stretch was localized and why the plane was driven into the ground so hard that the nose cone, which houses the flight data recorders (black box) and even the cockpit melted off in the searing flash heat of that moment of impact. It also explains why nothing of any reasonable size was recovered. The plane’s fuselage (the main body) went right into the ground! Take it anywhere and any professional will be inclined to think this view is precise. They bombed that plane and the explosive was smuggled into the cargo section. What if the engines failed. Had the two engines failed (a most unlikely scenario), the aircraft will not drop out of the sky like lead. It will turn into a glider, coasting silently but loosing altitude in an orderly manner like the Dana plane. The pilot will be trying to restart the engines while holding on to the controls or trying to ditch the plane, that is, crash it as safely as possible. Now you ask, what was the motive? It could only be two things. Was there a politically sensitive person on board, foreign or local? Was there a local aviation trade war? The rest is left to the reader and to the processes of truth”. Bologi Jimada: I published an article after the Bellview crash stating some not too widely known facts (then) about some peculiar crashes of the same type of aircraft, the 737. There were two prominent accidents mirroring exactly the Bellview crash in America which was eventually traced to the control unit at the tail of the plane, the rudder specifically. The control unit commands the rudder to deflect completely in one direction on its own without any pilot input. It was called a ‘hard over’ which is like having your car steer it’s self in one direction without any input from you at very high speed. The most bizarre aspect of the incident was that there was also a reversal of controls- meaning that, unknown to the pilots, when they attempt to steer the plane with opposite rudder input, they were inadvertently steering the plane in the direction of the trouble increasing the roll of the plane till it is completely barrel rolled and vertical. I need to explain that without a tail, the aeroplane wants to naturally yaw because it is a tube. Also, there are massive dynamic forces working on a planes surfaces so control inputs are very little, almost imperceptible at high speeds- try sticking your palms out of a moving car at between 120 to 160kmh to understand this, then consider a plane moving at over 800kmh with the whole rudder sticking to one side. Mechanically, there is a stopper which prevents such extreme deflections, but the faulty mechanism blows the whole unit over to one side. 2. An inflight explosion will most likely be seen and depending on the pressurization, will have blown the plane to bits; because the plane was just climbing out, it can be argued that the hull may not have been so pressurized as to blow up the entire hull. So, at this critical phase of flight, the bombs must either take out the wings or the entire tail including the rear pressure bulk head. A 747 flew around a bit, though erratically before crashing after loosing its tail from a rear bulk head blow out. There were no indication of any dismemberment of the airframe before it crashed. One in ten of that particular vintage of 737-200 had crashed. As at the time of the Bellview crash, FAA in America had issued AD, airworthiness directives to have all such control units changed and Boeing, the manufacturer, also issued new training procedures to recognize the onset of the problem and the measures pilots could take. In my 2006 article, I hinted that it was not uncommon, though illegal, to have a plane of that vintage on the used market without a Blackbox- the CVR (cockpit voice recorder) and Flight Data Recorder (CVR). The Blackboxes on planes of that vintage were analog recorders and most were wired for very few parameters making it difficult to determine some critical things the plane and the pilot may or may not be doing within a flight envelop. The casing of the Bellview recorder was found but the recorders were never found which indicates they were either not there at the time of the crash or they were, most improbably, stolen at the crash site. One of the planes from the US crash was delivered within a month of the Bellview plane. Finally, because of peculiarities of air crashes, I only cited similarities of the Bellview crash with those two in America. While no one can be sure what led to the accident, a lot of causes can be eliminated. One thing was clear, the plane was still under full power when it ploughed into the ground indicating that the pilots were taken unawares and had probably been fighting to regain the control of the aircraft. No parts of the crashed plane were found any other place other than the situation local of the accident. Even though an official who showed me the very few remains of the plane at a hanger in Lagos pointed out a possibility of structural failure at a point around the cockpit, there has not been strong evidence to support this except if it crippled control cables. The plane had not too long to that time undergone a ‘C’ check which requires the stripping of the entire airframe. If I am able, I will reproduce my article which included details of the similar crashes, the AD’s issued by FAA in America, the cost of repair and time required to replace the faulty component. I also compiled quite a few details of accidents which were suspected to be caused by this faulty device. Curiously some planes flipped over on the runway, which may tempt one to want to doubt the conclusion of the ADC crash in Abuja which was blamed on wind shear. The AIB in America noted that temperature differentials may cause the control unit to fail. Hydraulic fluids are usually hot while the control surfaces they course through are usually cold from the elements. The Bellview crash was at night, while the ADC crash was during a rainfall. Again these could be argued either way, but suffice it to say that it carried a much higher probability than the bomb theory in the case of the Bellview incident. “I had written the observation to then minister Aborishade, but decided to publish when I got no response from the ministry. I also wrote then President Obasanjo on the matter. Boeing serial numbers 22734, 22742 and 22775 were all delivered within 6 months of each other and they all crashed in almost similar circumstances. The Bellview plane was 22734, the United Airlines plane that crashed as Flt 585 at Colorado Springs (one of the US accident plane I referenced) was 22742 while an Angolan Airways plane which crashed at Lubango airport was 22775 ( this plane was delivered same day as the UA plane 22742 ref above. 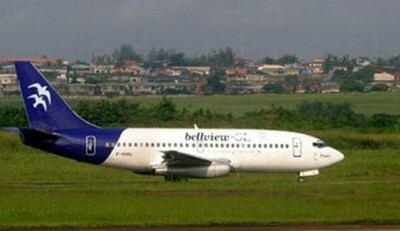 Of all 1,103 plane fatalities in 2005, 488 were from four 737 crashes, one of which sadly was the Bellview plane. Nigeria that year lost 225 souls from both the Bellview and Sosoliso crashes. We have turned full circle and are back to the same issues I raised then- lack of information because accident reports are not made public so we end up speculating, lack of proper oversight, lack of access to cheap capital by airlines, unsafe airspace, unfriendly airports, inability to manage trauma suffered by relations of victims, release of corpses and personal effects and compensations. Do we ever learn?